Gravity is the force by which a planet or other body draws objects toward its center. The force of gravity keeps all of the planets in orbit around the sun. What else does gravity do? Why do you land on the ground when you jump up instead of floating off into space? Why do things fall down when you throw them or drop them? The answer is gravity: an invisible force that pulls objects toward each other. Earth's gravity is what keeps you on the ground and what makes things fall. Anything that has mass also has gravity. Objects with more mass have more gravity. Gravity also gets weaker with distance. So, the closer objects are to each other, the stronger their gravitational pull is. 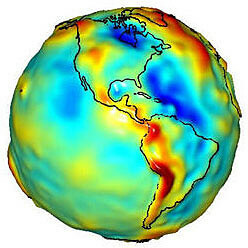 Earth's gravity comes from all its mass. All its mass makes a combined gravitational pull on all the mass in your body. That's what gives you weight. 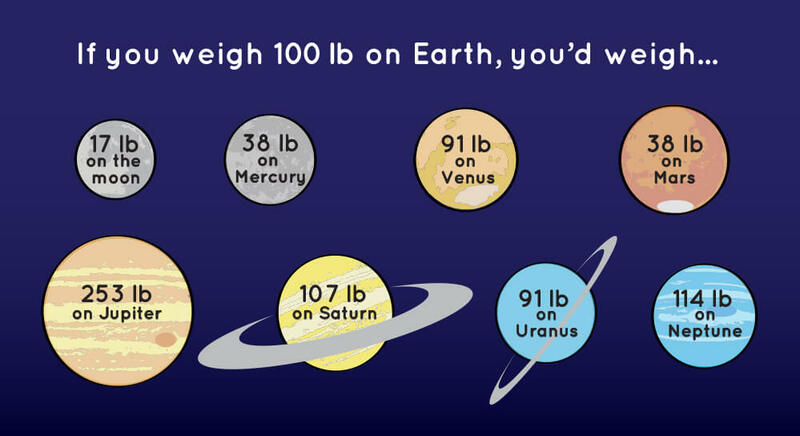 And if you were on a planet with less mass than Earth, you would weigh less than you do here. You exert the same gravitational force on Earth that it does on you. But because Earth is so much more massive than you, your force doesn’t really have an effect our planet. Gravity is what holds the planets in orbit around the sun and what keeps the moon in orbit around Earth. The gravitational pull of the moon pulls the seas towards it, causing the ocean tides. Gravity creates stars and planets by pulling together the material from which they are made. Gravity not only pulls on mass but also on light. Albert Einstein discovered this principle. If you shine a flashlight upwards, the light will grow imperceptibly redder as gravity pulls it. You can't see the change with your eyes, but scientists can measure it. 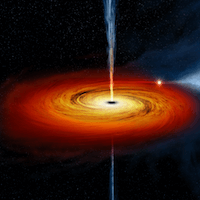 Black holes pack so much mass into such a small volume that their gravity is strong enough to keep anything, even light, from escaping. 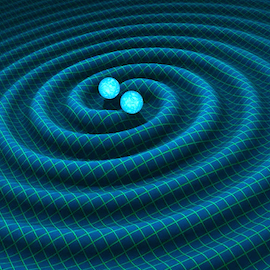 Watch this video to find out more about these areas of immense gravity! Gravity is very important to us. We could not live on Earth without it. The sun's gravity keeps Earth in orbit around it, keeping us at a comfortable distance to enjoy the sun's light and warmth. It holds down our atmosphere and the air we need to breath. Gravity is what holds our world together. However, gravity isn’t the same everywhere on Earth. Gravity is slightly stronger over places with more mass underground than over places with less mass. NASA uses two spacecraft to measure these variations in Earth’s gravity. These spacecraft are part of the Gravity Recovery and Climate Experiment (GRACE) mission. GRACE detects tiny changes in gravity over time. These changes have revealed important details about our planet. For example, GRACE monitors changes in sea level and can detect changes in Earth’s crust brought on by earthquakes.